I’m starting the week off with a little challenge to open up a sketchbook and create a double page spread every day. I find that my kids are more creative when they witness my own passion for creativity, and this strategy is a manageable and inspiring way to walk the talk. You don’t have to accept the challenge, but I’m throwing it out there in case it’s something that you need too. I’ve heard from some of you that it’s hard to find time to make time for yourself. I certainly fall into this category. I used to make a lot of art and had no trouble making time for it. I prioritized it, in fact. I had a studio, a daily art making practice, showed art in galleries, and co-founded an art collective. Making art wasn’t my full time job, but I was successful at committing myself to a ritual of creating. Do you feel the same way? 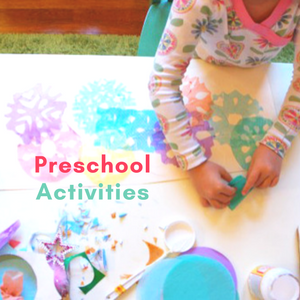 Making time for our own creative pursuits can be tricky with little kids who need our constant attention and a home that never seems to be clean. Making time to make art has become almost impossible for me. I know parents of young children who don’t have this problem. But I also know that if running an art studio meant so much to me I could easily trade the hours I spend writing for the hours I used to spend creating. I don’t want my old life back, but I do love the feeling of pouring visual images onto a piece of paper. I first wrote about the Double Page Spread in my 2012 New Year’s Resolution post: 5 Resolutions for a Creative New Year. The idea is simple, and it doesn’t require a lot of effort on your part. 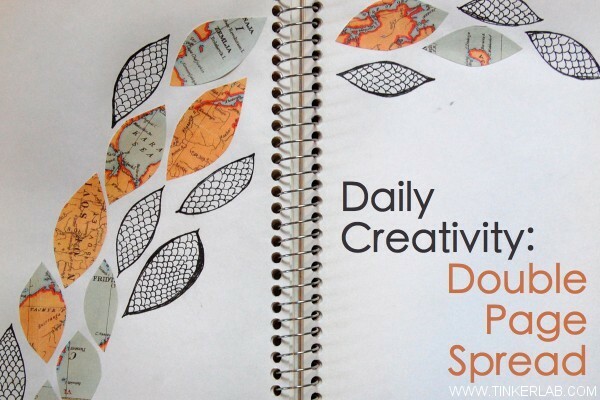 Every day you’ll open a sketchbook and create anything you want on two facing pages, or the double page spread (DPS). That’s it! You can draw on the paper, smear it with play dough, attack it with your 3-year old’s dot makers, cover it with Thomas the Train stickers, or paint it with watercolors. The objective is to get your creative juices flowing and build the ritual of making into your life. No one will judge your creations, and you may start out on shaky ground, but I guarantee that if you follow a ritual of creating on a daily basis your comfort level will grow and your ideas will flourish. The sketchbook can be large or small. Store bought or homemade. 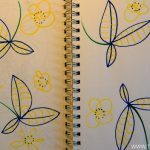 I prefer a spiral-bound sketchbook that’s at least 5″ x 7″ because it can lie flat, and I like to use heavier paper because it can withstand water, paint, and whatever I may dream up along the way. I have a lot of projects brewing at the moment (and hope to share some exciting news with you soon), so I hardly feel like I have time for one more thing, but nurturing my creative journey is important to me and I think a Daily DPS will be easy to accomplish if I work on it while my kids are creating at their art table. I’m setting my expectations low — my kids are young and often demanding of my attention, so I’ll do as much as I can and not worry too much about the results. My kids like to do everything I do, so to make this easier for me I bought us all matching sketchbooks. That way, if they want to jump in and do what I’m doing, my book won’t be commandeered by them. So let’s get started. Find an old sketchbook with some blank pages in it or take a trip to the nearest art store and find a book that will get you excited to show up every day. 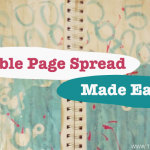 You don’t have to create a double page spread, so don’t let that get in your way. Some people prefer to use a single page, loose paper, recycled paper — I’ll leave these details to you! If this sounds interesting to you, please let me know, and I’ll share my sketchbook with you. And if you’d like to take on the same challenge and join me, I’d love the company and we can figure out a way for you to share your sketchbooks too. Maybe through Facebook or Instagram? Or you could send me your images to be included in a weekly post? What are your thoughts on this? Wow! The response to this prompt has been huge! 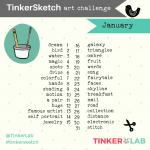 Click on over to the next post, #Tinkersketch (Day One), for information on how you can share images of your journey on the DPS Challenge. Oh yeeeeah. Great idea. I’m in! I have shelves and shelves of old sketchbooks… from before kids! I love this idea! And I would love to peek at your book. I am always looking for ways to make time for my own creativity, this is such a beautiful solution. Thanks! I’ll try to share my book, Carla. Well, books, hopefully! I’d love to join you in this. I need to start a quiet, meditative practice to help me stay mellow. This sounds like just the thing! Great idea, Kate. This could do the trick! 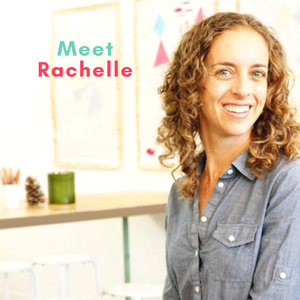 Look forward to having you join me (and learning how this works as a meditative practice). What a great idea! 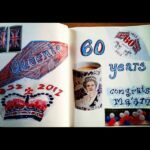 I’m thinking of getting sketchbooks for the whole family and spending time together creating and sharing our designs! That’s exactly what I’m trying to do, Amanda. I would love it if you and your family joined in. I love this idea! I just bought another blank sketch book for my four year old since he recently filled the last one. I’m passionate about using blank surfaces to start with, but I think I need to get my own! I think about all the scrapbooking I want to catch up on but don’t get to unless I schedule it in with a friend, because that’s my creative outlet. A sketch book will be a little easier to get to. I would love to see your sketch book and share as well! Your son will love looking back at his sketchbooks as he gets older — how wonderful that he’s so dedicated to this process! You should definitely get your own, and at the rate your 4-year old fills up pages, he could help motivate you! So glad you’re up for the challenge, Heather. I love it and would love to join in. I’m not sure how on earth I’ll find the time, but I’m up for the challenge! Sharing via Instagram/ FB seems a great way to me! Anna, not only did you find time, but you already made your first DPS and posted it to Instagram….all before I even replied to your lovely comment. Big props to you!! I’m thrilled to have you on board. Oh great idea. I often think my daughter isn’t very creative but if I sit down and make art with her then she seems completely different and very enthusiastic about it. I’ve seen this so many times myself, Victoria. 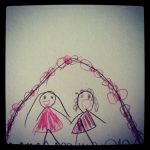 Some children are social creators and enjoy sharing and getting inspiration from the people that surround them. My daughter can go both ways, but often begs me to join her for to make art. And when I do, she often directs me or gives me input and advice. It’s become just another way that we communicate, and I cherish these moments. I’m in!!! My sister and I were just talking today about how i use to paint and draw. When I am painting or drawing with my daughter, I tend to be the last one at the table still going at it! I love the different ideas you threq out there to get started. I love to make collages! Cant wait to start! Yay, Dawn!! It sounds like you’re ready for this challenge. I hope you found the perfect sketchbook and look forward to seeing your creations soon. I started sketching each day at the first of the year but let it fall away. I’m going to get that sketchbook back out and work on double page spreads (and not just sketching!). Thanks for the push again. Ah, the new year’s resolution that fizzled away. I had a huge burst of energy for organizing my house in January, and that too has fizzled away. I’m just glad I accomplished so much early on! I’m thrilled that you’re joining me, Scott, and can’t wait to see how this goes for you. It’s funny but my first thought was… I couldn’t do that, I’m not clever/creative/good enough! Which probably means that it’s quite a way out of my comfort zone and it would be a great idea. I think I even have a visual diary that I bought years ago and never got past the first page or two… you’ve inspired me to go and get it now. Thanks. Yes!! And I’m here to support you as you move out of your comfort zone! You don’t have to be clever or creative to take on this challenge. You just need the desire and motivation to show up every day. Did you see my first DPS? It’s not all that brilliant. But I did it, and I’ll put something in it again tomorrow. The beauty of it is that it can be as simple as a doodle or a cut-up-collaged piece of junk mail. I’m so glad that you’re inspired, Meg, and hope you’ll stick with us!! This promises to be a fun and supportive community. I love the idea, and am up for the challenge. Sharing on Facebook would be easy enough. What a great idea! I’m so glad you’re up for this! I have so many creative endeavors going on each day that I would need a prompt or assignment to even be successful in drawing in a sketchbook each day. That is just my two cents and love the idea! Maybe include an idea each day on fb or in your posts? That’s a great idea, Melissa. You got me thinking that I could post a list at the beginning of each week. Do you think that would help? Yes, I love having an assignment and am more motivated that way. Strange, huh? Im in! This is a great idea & something I could do . My son loves Art of all kinds, because I do I guess, but mostly my Creative Art these days is 3 year old projects & not for me so I would love to do my own thing so he can see how much enjoyment I get from it aswell as from seeing him do it. Great, Renee! I’m finding that this is easier for me when I use some of the same materials as my kids. Look forward to seeing your designs too! This sounds like the perfect motivation/inspiration via comraderie. I’m guilty of the mom-no time for me-scenario. Help! Yes, please join me, Erica! I have no time either, and as much as I’d love to sit in a salon or take a long solitary walk, it’s just not possible right now. 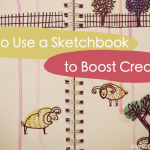 Have you found a sketchbook yet? I love this! I started keeping a sketch book this last fall while I was pregnant with my son as a way to relax. I’ve carried on with it since he’s been born and it’s been such a wonderful experience. My 2 year old is also very interested in my sketch book so I sketch on one page and she draws on the other. I’m always up for extra inspiration! Can’t wait! What a good idea, Annie. So you’re already way beyond me in terms of commitment! I’ll be looking to you for inspiration too. Please share if you can. I’m so glad this speaks to you too. How lucky that your church has you to lean on for painting help. 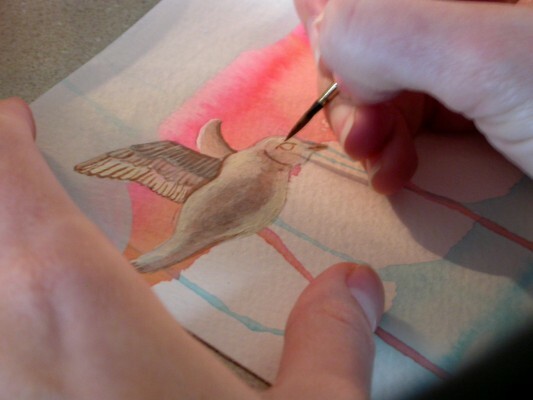 Drawing and making art with my kids can either be really easy or sort of challenging. My one year old likes to climb all over me, so my current challenge is to get her settled with something fun to free my arms up! I hope you’ll join in. Yes, please! I might not be able to do this every day, but I’m going to try at least once a week. And please, keep the prompts coming. They are so helpful! I know, Yelena, everyday can be hard. I’m motivated by sharing this through instagram and facebook, knowing that there are others out there to support me. I’m happy to keep the prompts coming. Are you on Facebook? Today’s prompt was to make a pattern of circles. Thanks for starting this up, what a wonderful idea! Would love to share with you via F/B or Instagram. Thanks again! I know, there’s no spare time at all! Something is always waiting for our attention. The last time I bought my daughter a canvas I realized that I didn’t buy one for myself. It was kind of weird, but tuned me to realize I should think of my own creativity to! Look forward to having you join me. Love it! Just the prompt I need to get those juices going! I love this idea. I’m doing the Instagram photo challenge at the moment, and I think this would be a great second project. I’d do Facebook or Instagram. I’d love guidelines thought , e.g. Day1. Passion, day2. My world etc! I love this idea. Create something is the ONLY WAY to creativity. Thanks for the inspiration, and (of course) I’ll send and share my creations. Yeah! What a great idea. I think I’m going to try and do it at least once a week and maybe tie it into my thoughts for the week. I love photography so I’m hoping to use is as a spur to actually printing my photos off rather than leaving them wasting away on the computer. I am game ! keep me posted . I have way to many book marks. hope I will get a daily e- mail from you. Great article and your idea will be my free therapy! I can so relate and this is so what I need right now. I have struggled with any ideas that were not hours invested in the studio…..but it’s time for me to surrender! Thank you, your timing is amazing! I was really considering giving up on my art life. I’m in! It’s something I’ve been thinking about doing for a while now, so let’s do this together! Looking forward to seeing what comes out of it. Since I just started a 40 day personal revolution (yoga) program (and have zero yoga experience) I think I’ll go easy on myself and try to fill a couple dps per week! Hmmm… this does sound interesting. While I am certainly no artist I really do enjoy getting creative. I have been stock piling ideas for our summer and I think this would be perfect. One thing I’ve learned from watching my kids create is that they very rarely work towards a finished product. I imagine if I worried less about the end result my process would be a lot more fun. I’m in! What an awesome idea! What a great idea! I commented again because I missed a letter in my website. Geez! I’m definitely in! Infact, I’d made a similar resolution last year and have stuck to it – more or less. That prompted me to start a ‘me time’ category on my blog. I love Zentangle art and have been doing it every so often. With you to motivate and challenge, it’ll be all the more fun! PS: I have wanted to tell you this for a long time, but always missed – I’ve subscribed to your blog a few times now – in the past 1 year or so but gosh – never get the email updates. Last week though, I received your newsletter but then – not the daily updates 🙁 It’s only when I manually type in your blog URl that I find the latest on your blog. But, due to that, I miss so many posts. Wonder why I don’t get the updates inspite of subscribing a few times…! I’m so excited by all the enthusiasm for this project and look forward to seeing everyone’s creations through Instagram or Facebook! I just came across your challenge today and I love it. I have a 3 year old daughter and she does take alot of my time and I love her. But I would love to start creating art again. I think this is a great starting point for me. I plan to go get a sketch book on Monday. I can’t wait. Great project! I think I’m going to join if I’m not too late. I’m feeling wrung out of creativity at the end of the school year (I teach high school Art) and I want to make stuff and boost my own abilities and creativity again!12 days of school to go, but I’m starting this tomorrow! So excited for this!! Since I finished school last year and I have two little ones running around I haven’t been motivated to pick up my sketch book! This’ll get the juices going again! I’m in, finally! I’m unpacked enough to have found my supplies, and I’ve been in desperate need of a creative outlet. 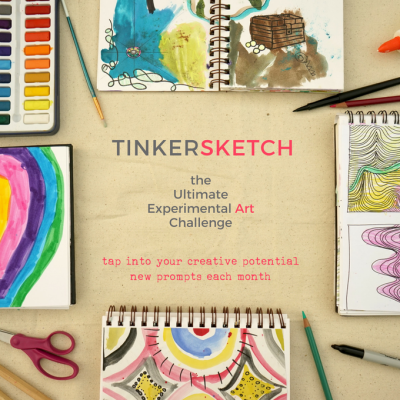 This is a great challenge, and I love your blog! I don’t know if I’ll keep a sketchbook, but I try to play music and read as much as I can around my kids. First of all, because I need that in my life. Second, my kids need to see I walk the walk! 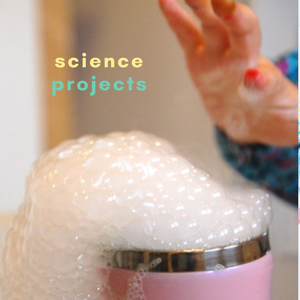 This is a wonderful idea – we often forget to explore and experiment ourselves! I’ve used sketchbooks with kids for years, and perhaps in the future I’ll sketch right along side them. Thanks! I’m brand new to your blog (and, believe it or not, this is the first time I’ve EVER posted a comment on someone’s blog…well someone I don’t know). I’ve been toying with the idea of starting one of my own, in fact, based on trying to carve out more time to be creative now that I have two little beings who take up 99.999% of my time 😉 I am convinced that allowing myself to reconnect with my artist roots is the key to becoming happier and more content in all areas of my life. So I’m going to join your DPS challenge, starting today. Thank you so much for doing this, and for motivating me to take the first step. I am going to subscribe to your blog and look forward to reading more! I was on vacation when you commented and I hope my lack of response to you hasn’t turned you away from this community! I’m delighted that this post motivated you to make the changes in your life that you needed. I was similarly inspired by a couple blogs before starting my own, and I can wholeheartedly say that my life is better for it. Please keep me posted on your journey. What a beautiful, doable idea. I could also see this being a great weekend activity. 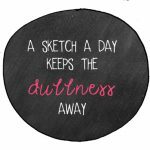 My life became VERY busy since I posted this article and I’ve become more of a weekend tinkersketcher than daily tinkersketcher. But I’m okay with that at the moment. There’s a season for everything! I just found you while doing a random searh for some new craft ideas to do with my son. He is now 20 months, and ready to do a lot more! I’m also very creative and have found it hard to find time to get my creative ‘juices’ flowing again. This sketchbook idea is going to be a great start to get back into it! You know this is such a moving post. I can absolutely relate to feeling like I have lost my entire creative being. I too am not a victim, no matter how I sound. However, I find myself saying to my girls one 4 (with developmental delays), other 14 (with major artistic abilities), “yes, art is in your blood. Mom was an artist & so was ‘your’ Dad” … The sad part of that statement is ‘was’… Thanks to YOU and the certain sites you share, & finding this Art Journalling for Children & Adults; I have a renewed sense of my own artsy self. Thanks Again. You pre-class preparation of the pages is such an exellcent idea! Those things sometimes take a while to dry so that work can go forward it is a great new idea for a practice that I am going to embrace in my toolbox of tasks and ideas .thanks so very much!